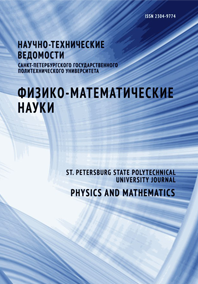 Shashkina Antonina S. Krivosheykin Anatoliy V. Skvortsov Nicolay N. Vorotkov Mikhail V.
The conventional model of processes occurring in the course of p–n-junction’s partial avalanche breakdown has been analyzed in this paper. Microplasma noise spectra of industrially produced LE Ds were compared with those predicted by the model. The data obtained experimentally on the reverse-biased LEDs were established not to be described in terms of this model. The degree of pronouncedness of fractal properties was shown to be variable by changing the reverse voltage. Discovered fractal properties of microplasma noise can serve as the basis for further studies which are bound to explain the breakdown characteristics of real LEDs and to correct the conventional model of p–n-junction’s avalanche breakdown.